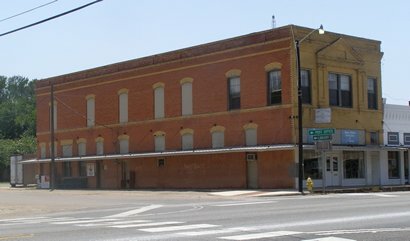 Named for a mill built on the Bosque River in 1867, the town moved one mile south in 1881 to be alongside the tracks of the Gulf, Colorado and Santa Fe Railroad. 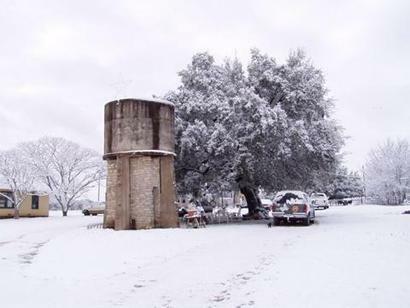 In 1882 the town was hit by a tornado but quickly rebuilt on the other side of the river - which happened to be in McLennan County. 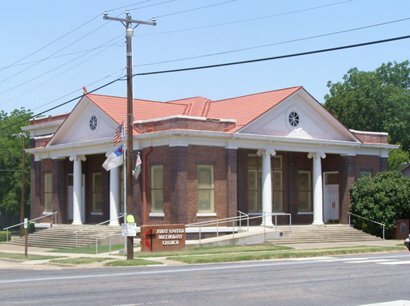 The town's railroad and it's location on the Chisholm Trail made it a trading center for both McLennan and Bosque Counties. 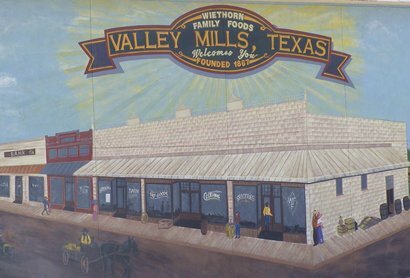 The 855 people who lived in Valley Mills mostly stayed put. The effects of the Great Depression only reduced the population by about 50. 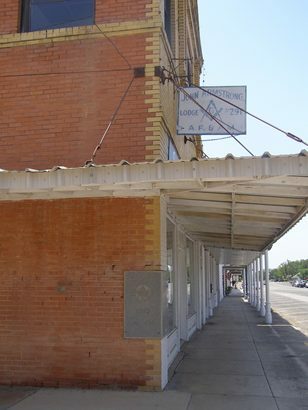 Post-war prosperity raised this number to just over 1,000 by the mid-1950s and the town still keeps its retail and shipping status for both counties. 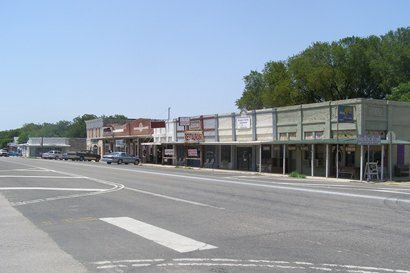 By the mid-1980s the population had reached 1,236, and is currently given as 1,226. 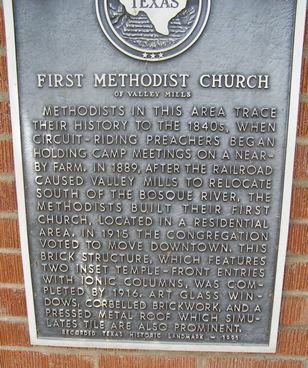 First Methodist Church & historical marker.